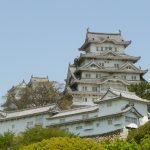 Fukushima Castle was a flatland castle located in Sugitsuma Fukushima-shi, Fukushima where the city capital lies today. 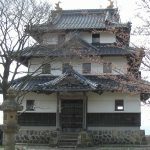 It used to be called as Suginome Castle or Sugitsuma Castle. 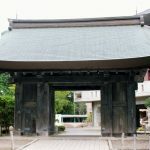 Harumune Date moved in here after he handed over his title to his son, Terumune. 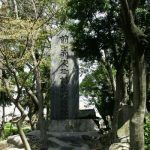 Defeating Ujimasa and Ujiteru Hojo in Kanto, Hideyoshi Toyotomi marched into Oshu to expand his territories. 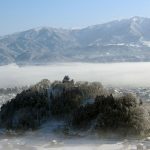 Kurokawa in Aizu, Suginome in Fukushima, and Yonezawa were taken away from Masamune Date. 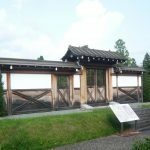 Ujisato Gamo came to possess Aizu while Yoshikiyo Kimura, a close advisor of Hideyoshi, received Suginome Castle to rule and changed the name to Fukushima Castle. 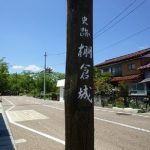 As the Battle of Sekigahara started, Masamune Date who was on the side of the East force attacked Kagekatsu Uesugi from the West force in the land of Fukushima (the Battle of Matsukawa). 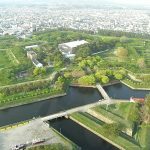 Reflecting the victory of Tokugawa force (the East force) at the Battle of Sekigahara, Kagekatsu Uesugi’s rulership diminished by 300,000 Goku, and the land around Fukushima Castle were owned by the Edo government. 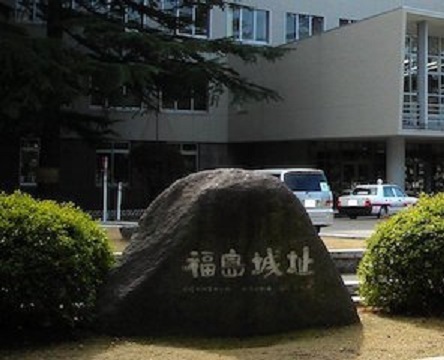 After Tadakuni Honda was given the Fukushima Han (150,000 Goku) in 1679, the title of Fukushima Castle was passed by the Hotta clan and the Itakura clan. 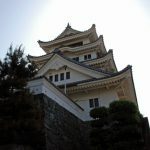 Fukushima Castle was ruled by the Itakura clan at the time of Meiji Restoration. 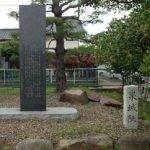 They joined Ouetsu Reppan Domei (Alliance of Mutsu, Dewa, and Echigo), and fought against the West force including Satsuma and Choshu. 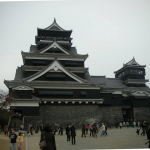 When Nihonmatsu Castle fell in July 29th, 1868, the chief Katsumi Itakura ran to Yonezawa. 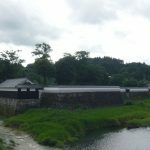 On April 20th of the same year, before the Battle of Shirakawa, Shuzo Sera was killed by feudal retainers of Sendai Han around Fukushima Castle. 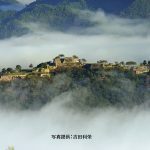 Shuzo Sera played several roles as secretary of Kihe-tai from Choshu, military chief of the second Kihe-tai, and minister of Ou Chinbu Sokanfu at Boshin War. 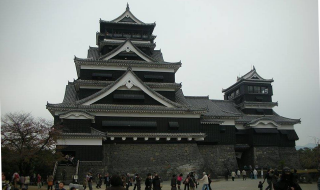 Fukushima Han surrendered and handed over Nihonmatsu Castle to the West force in September 2nd, 1868. 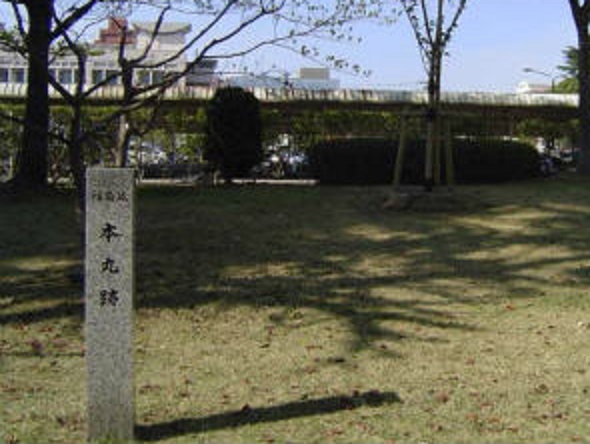 In 1869, Katsumi Itakura was relocated to Mikawa, and it put an end to Fukushima Han. 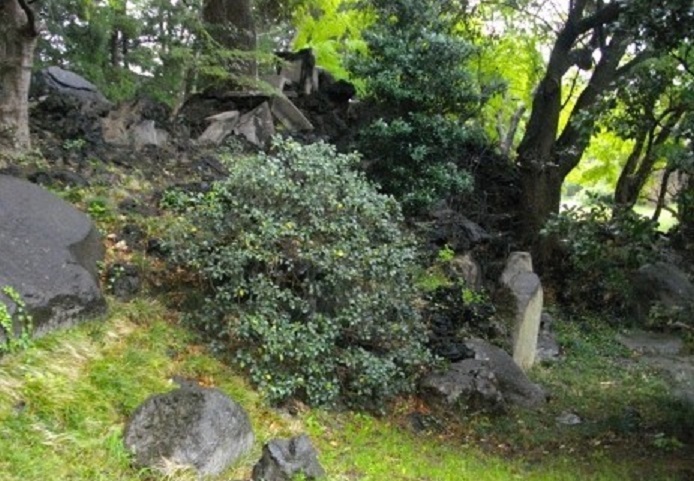 There are only a few stone fences and a stone monument around Fukushima city hall as remnants of Fukushima Castle.